It is the expectation that happiness is a state to arrive at. It is the belief that happiness is reliant upon the acquisition of something that is out of reach. Chasing, and never attaining. Overanalyzing and picking it apart until it slowly dissolves to nothing more than just an aftertaste. But it was when I stopped searching. It was when I stopped preoccupying myself with the notion that happiness is something I had to desperately seek for. That's when I realized just how happy I am, in this moment. The breeze gently lifted the lace curtains and the smallest ray of sunlight hit your face. Right here, right now is when I knew that it doesn't matter if I have a million more moments like this or just this one because it would be all the same. Any or all of them would unequivocally whisper that you're the certainty that comes once in a lifetime. And it doesn't matter what season it is because despite the changing seasons, this certainty is more than vernal or autumnal. This certainty is more than just the saving summer of the vast depths of winter. 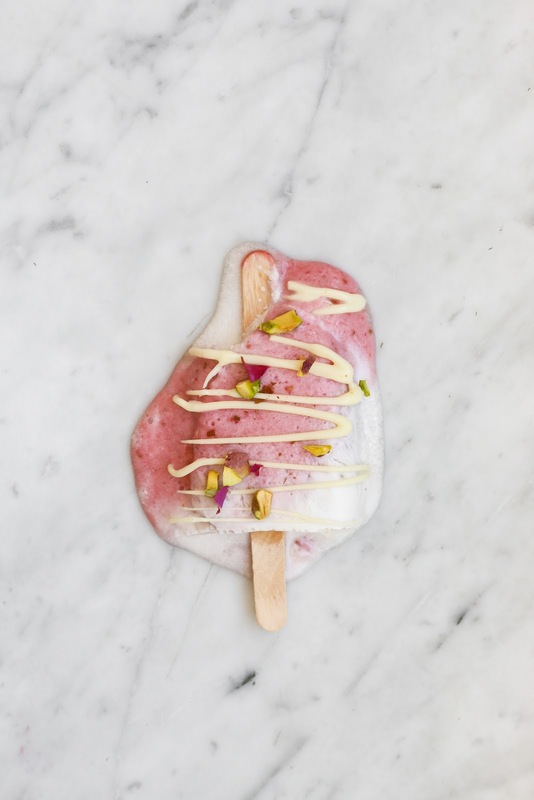 Rose, pistachio, warm spices - flavours I will always love, no matter what season it is. 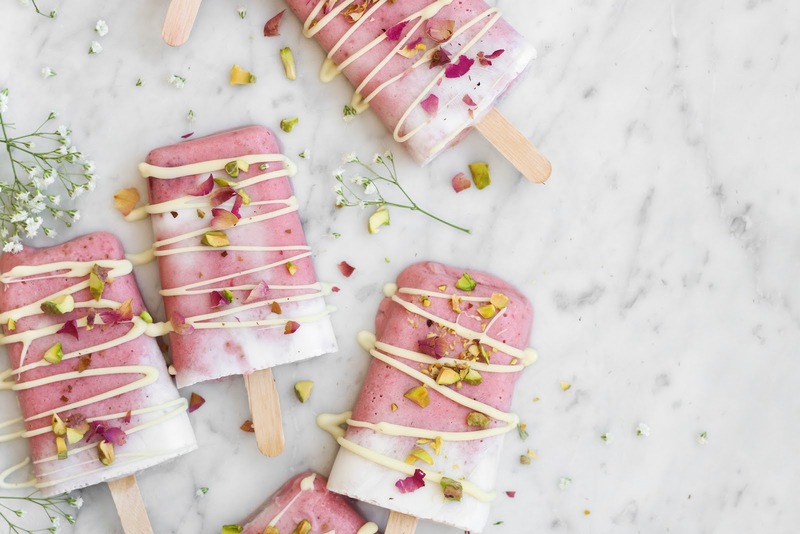 These popsicles are summer reinterpretations of the most popular cake on the blog. 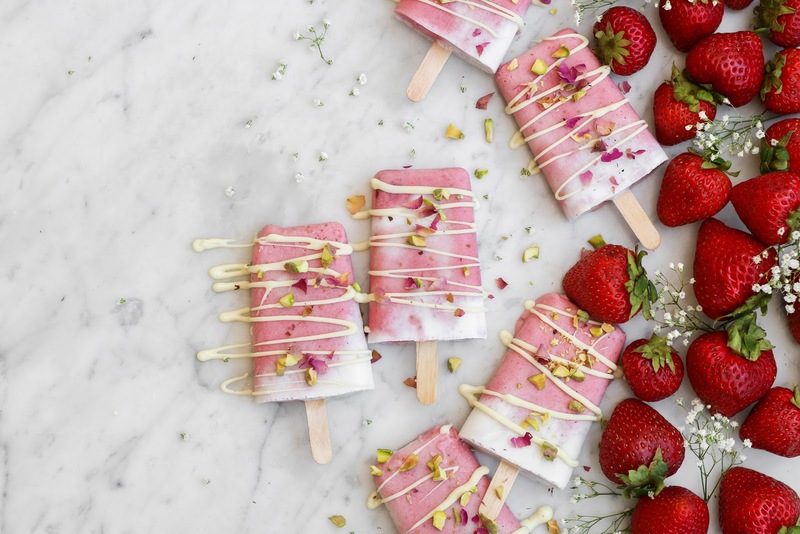 It paints the flavours of a 'Persian Love Cake' but with the addition of strawberries. 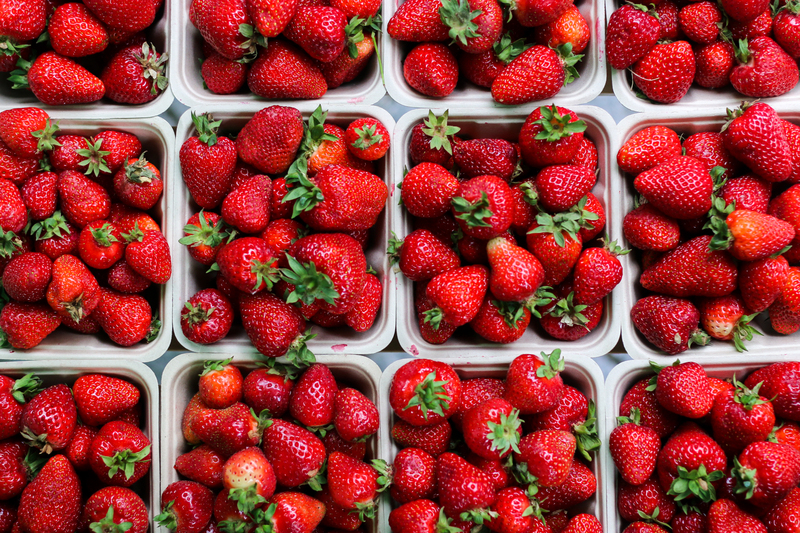 The ripest strawberries that summer has to offer, to be exact. It is a popsicle that will unfold many layers of flavours. 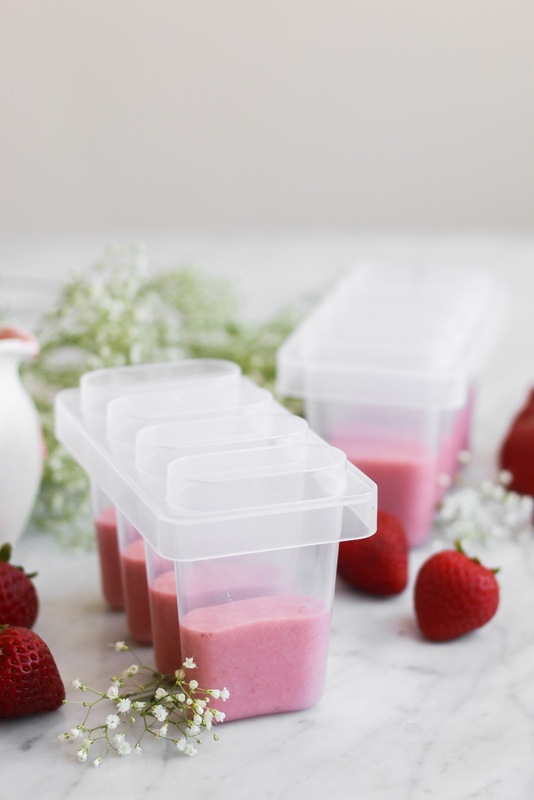 It starts with a bright strawberry note, slightly tamed by the dreamy qualities of coconut. It slowly transitions into a creamy coconut, marked by the earthy notes of rosewater, the warmth of cardamom, and the familiarity of vanilla. 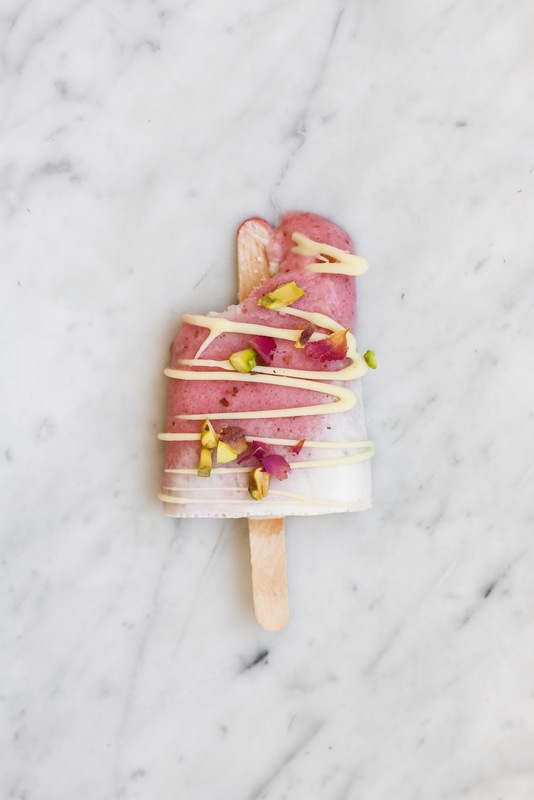 White chocolate, pistachios, and dried rose petals enrobe the popsicle, rendering it a bit more precious. Of course, I would not let a recipe here go unadulterated with some sort of romantic floral element. 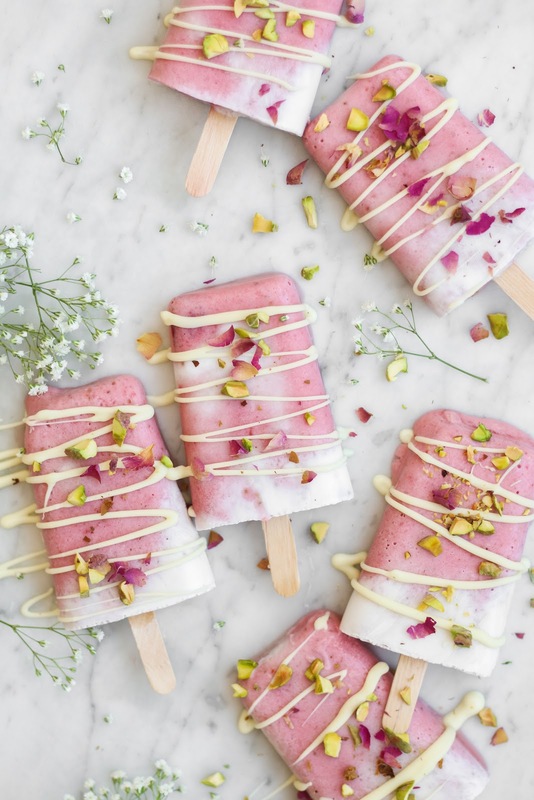 It's #popsicleweek here in the blogging world. Billy, the self-proclaimed 'popsicle girl' and lovely human being of Wit & Vinegar organizes popsicle week every year. 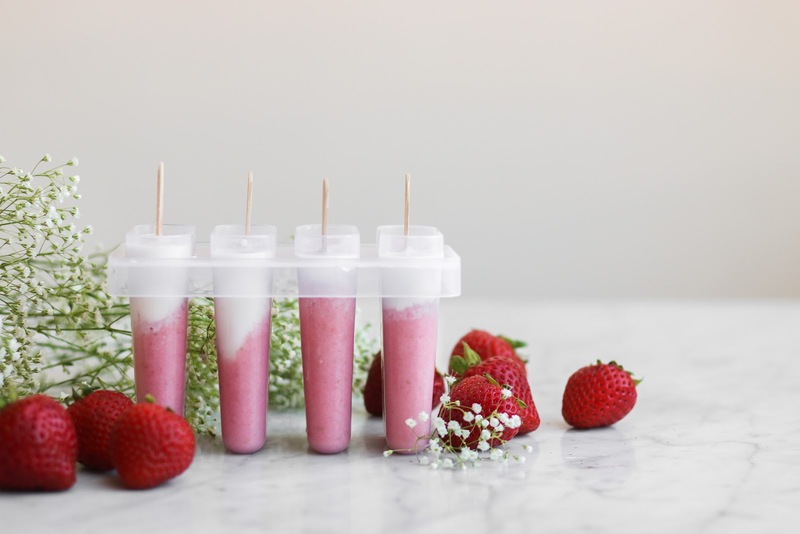 You will find a plethora of popsicle recipes this week created by talented blogger friends. If you want to join in, just post your photo on the good ol' instagram and hashtag it with #popsicleweek. I can't wait to see what you create. In a large bowl, combine the remainder of the coconut milk, 1/2 cup maple syrup, rosewater, cardamom, and vanilla. Mix until well-combined. 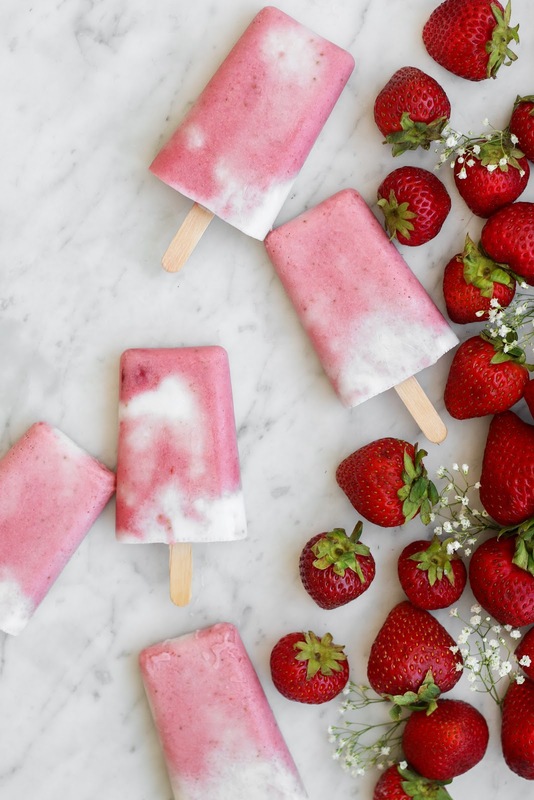 Fill each the popsicle cavities a third full with the strawberry mixture. Fill the remainder of the cavities with the coconut mixture. 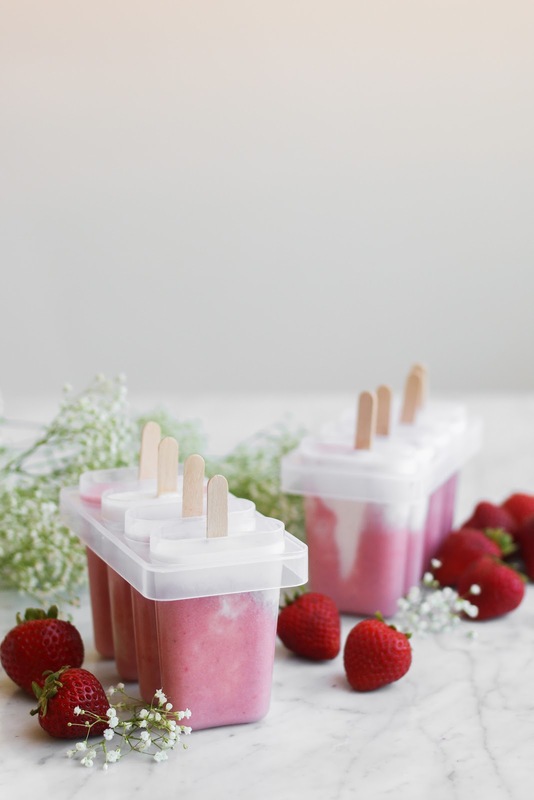 Freeze popsicles for 4 - 5 hours. 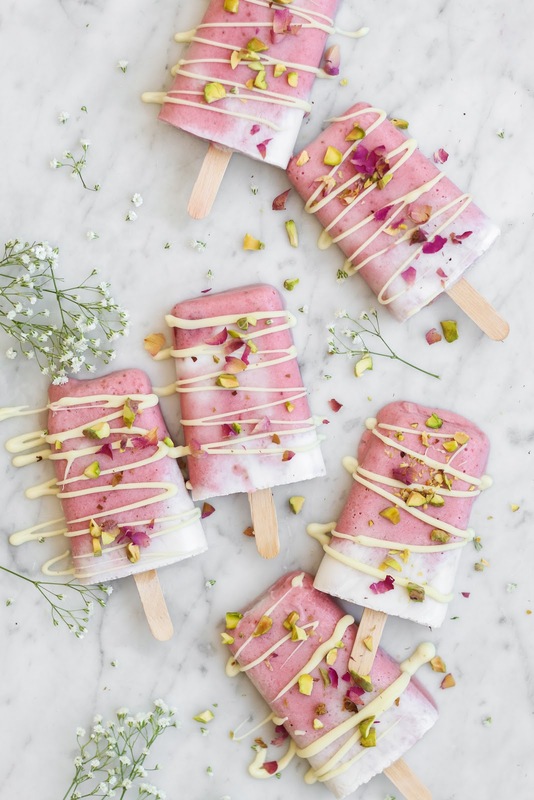 Remove popsicles from molds and drizzle with white chocolate and top with chopped pistachios and dried rose petals. I'm obsessed with that photo of the melted popsicle, aren't they just the hardest thing to photograph!? - الاعتماد على افضل العمالة المتواجدة فى الاسواق والمسئولة عن اعمال الرش والقضاء على الحشرات . - الاهتمام بتوفير المبيدات التى تتمتع بجودة مميزة فى القضاء على الحشرات . - تهتم شركة مكافحة حشرات بجدة بتوفير احدث الاجهزة والالات التى تساعد فى الرش والتى تحقق الابادة التامة من خلال تحديد مكان الحشرات تماما . - اسعار شركتنا شركة رش مبيدات بجدة مميزة وفى متناول الجميع بالاضافة الى ان لدينا القدرة على الوصول الى اى مكان فى جدة والقيام بخطوة المكافحة مهما كانت انتشار الحشرات فى المكان . معانتك مع الصراصير ، النمل الابيض ،الفئران ،.....غيرها من اى نوع من الحشرات تتلخص فى الاستعانة بنا الان .